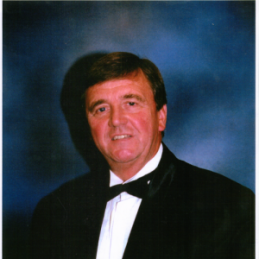 Paul Stevens is a British sports speaker, golf caddy and cabaret entertainer who combines the niche areas of golf caddying and singing, creating one of the most unusual and innovative acts working the after dinner speaker circuit! As a golf speaker Stevens draws on his extensive experience as the longest serving professional caddy in the world (53 years). He has been a caddy for some of the biggest professionals, he has worked alongside Sam Snead, Christy O’Connor Snr, Ben Crenshaw, Hubert Green, Bill Rogers, Curtis Strange, and Sandy Lyle, and Tom Watson finishing off his career with Rory McIlroy. He has taken part in some of the biggest games in the golfing calendar including the German Open, the 1987 British Masters and both the US Open and Masters. His work as a golf speaker is notoriously funny, his long-standing career as a caddy has seen him witness to and be involved in a number of brilliant and sardonic situations both on and off the course. Audiences continually praise Stevens for his delivery, marking his talks as a golf speaker as some of the most entertaining ever seen. Outside his work as a golf speaker Steven’s is a fantastic cabaret entertainer, the way in which he combines his work as a sports speaker with his powerful vocals is fantastic and incredibly unusual and is certain to liven up any corporate event. For those looking for an after dinner speaker like no other need look no further, a performance from Paul Stevens is a truly unique experience.